Without customers, we don’t have a business. 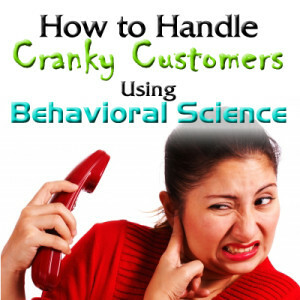 But what can or should we do if one of our customers is cranky? This program discusses how your responses impact your customer so that you can choose a response that will help you stand your ground while still being compassionate about your customer’s problem. If you would like to self certify this course for continuing education self study credit, you can request a letter of participation inside the course. The course takes 45 minutes to complete. This program is appropriate for group training (see group discount page). We recommend groups interested in this program schedule hybrid sessions combining the online course followed by a live facilitated discussion. The content of this course is based on behavioral science and groups benefit from discussing how to apply this knowledge to their specific situations and to other interpersonal dynamics. Contact us for more information or to schedule a course. Jennifer Hancock is one of the top writers and speakers in the Humanist world today. Author of several books and founder of Humanist Learning Systems, Jennifer has the ability to combine science, philosophy and common sense into actionable intelligence. This is a 45 minute video lesson with lecture notes for downloading. To participate in this course you will need Internet access and the ability to view youtube style videos. The course will work on home computers and tablets such as the iPad.